Click the above picture to enlarge and see details! 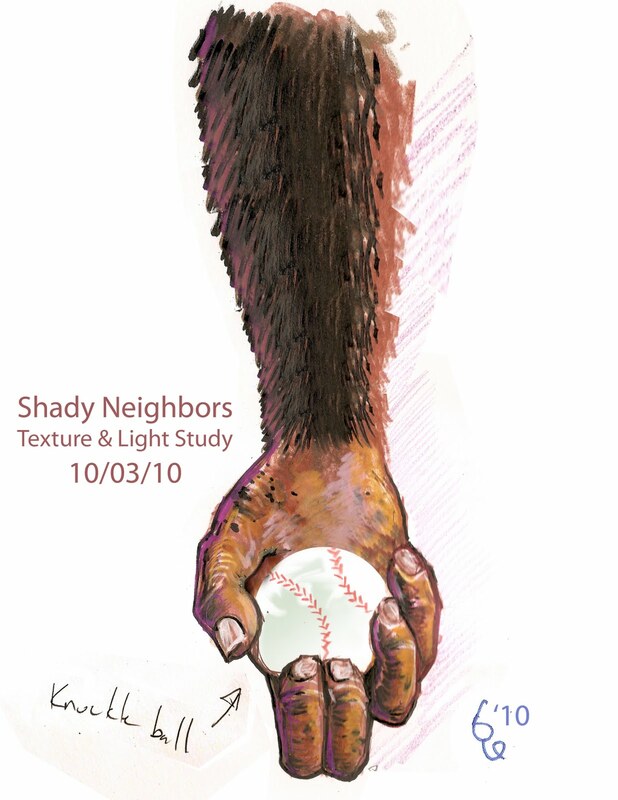 Speaking of the book, "Shady Neighbors," Thom Powell is taking Bigfoot art and Bigfoot book covers to the next level. He has commissioned our artist to create an original and unique cover for the book. The image above is what those artist-types call a study, basically practice to see how to create textures (like the liver spotted skin of a primate) or lighting (like the way a sunset highlights fur). Proportionals and sizing is also worked out, like perhaps a baseball would look even smaller in the hand of a Sasquatch. You may ask yourself why would a Sasquatch hold a baseball. that's a question for Thom Powell on November 3rd!